Cloudant Local runs on a cluster of inexpensive servers. If you need to increase database traffic, you just add servers to the cluster, or take them away if database traffic is shrinking. These changes are made without downtime and with Cloudant DevOps tools that make re-partitioning your database easy as the cluster resizes. If your app manages data that does not fit into tabular rows and columns in a relational database – data like JSON, full-text, media files, etc. – or if you expect a lot of changes to your data model, then Cloudant Local is a better fit than RDBMS. Cloudant Local is not limited by rigid schemas like RDBMSs have; each Cloudant Local database stores a collection of self-describing, variably structured JSON documents. Many projects replicate data across data centers or between mobile devices in order to push data closer to users so they can access it faster. Cloudant Local automates the difficult problem of distributing and synchronizing changes across replicas of data stored at all locations. 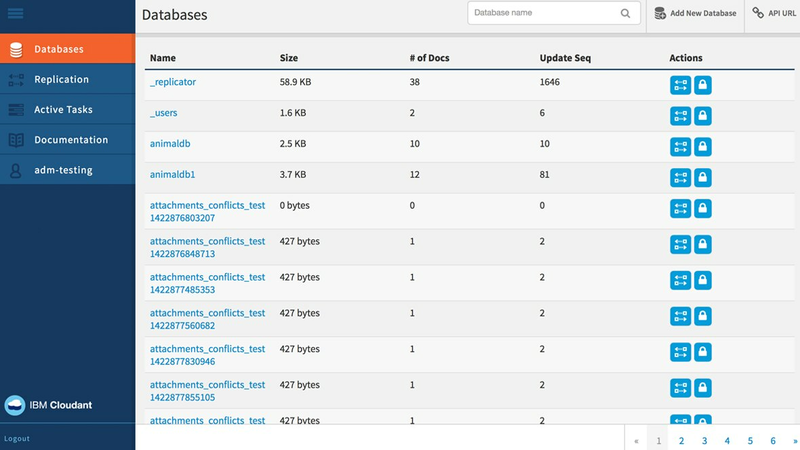 In Cloudant Local, all copies of your data are available for reads and writes. On the other hand, most other relational and NoSQL databases can replicate read-only copies of data to multiple locations or devices. To handle the influx of massive amounts of data in modern applications, your data layer needs to be in lockstep with your development roadmap. Cloudant Local helps enable flexible deployment options to efficiently manage today’s ever-changing data. Connio developed an IoT platform managing millions of endpoints without skipping a beat. Cloudant Local requires a minimum of five (5) machines to create a fully functional Cloudant cluster that ensures 24 x 7 availability. The five machines will consist of a primary load balance, and a recommended failover load balancer. The database itself will run on a minimum of three servers in a cluster, with additional database nodes added as needed for scale. Cloudant Local runs on the following 64-bit operating systems: Debian, Ubuntu, RHEL, and CentOS. It is a best practice is for all server nodes to run the same OS. See the documentation link for specific supported OS versions.